We custom make most of our gear to order. Generally we get all orders out in 2 to 3 weeks. We push as hard as we can to get your order out as soon as possible and have never gone over the 3 week time. When your order does ship, you will get another email with the tracking information. I have a hunt coming up fast, can you rush my order? It really depends. Try and order your gear as soons as possible. Contact us and let us know what you have going on. We can try and shuffle it around, but most of the time we cannot as there are steps of making the cover that need to cure and dry. I placed an order and want to make a change. What should I do? If you need to change an order, please contact us right away. There is a small window when we can still change your order. Once it goes into production, it is harder to change depending on what you need. The best thing to do is make sure you order the correct item first. I don’t have my suppressor in hand, and I don’t know it’s size. Can you help? We have the sizes listed for most suppressors click here. Please look it over and you can use them. If you don’t see it there, please contact us and we can help figure it out. My suppressor is not listed on your sizing chart, can you still make it? Yes, we can make a cover for just about anything. This includes the non-round suppressors like the SilencerCo Osprey or OSS octagon. Where are all of your items made? All of our gear is handmade here in New Hampshire. We pride ourselves in only using US labor, and using as much US materials as possible. Do you offer a Military or LE discount? Yes, we do. Please contact us from a department or agency email and we will share how to go about this. My suppressor goes under my handguard, will the cover fit between the suppressor and handguard? Probably not. Roughly you need at least .25” all around to get the cover to fit. Most handguards do not have this much clearance. I have a really sweet idea that I want you guys to make for me, can you do it? We do custom gear requests. Email us with as much information about what you need as possible. Please keep in mind there is a lot of time and money that goes into designing and prototyping. We have an hourly shop rate of $85 per hour that we bill to make custom gear plus materials. After we look over your request we will have an estimate and you are required to pay upfront before the job is started. Which suppressor cover do you recommend for me? This really depends on what application you are using the cover for. Our HTP is the highest temperature rated cover. This is the only cover that we recommend for semi-auto’s, SBR’s, and other rapid fire type shooting.  If you are looking for a cover for bolt action precision style shooting to mitigate mirage, then our Python and Metal Python are good choices. The HTP does do a slightly better job on the longer strings of fire, but it is not needed for most bolt action shooting. The Baby Python is designed for smaller rimfire cans. I bought the wrong cover and melted it, what do I do now? Contact us with your original order information. We have a couple different options and we always take care of our customers. Most of the time we use USPS for smaller orders. Sometimes FedEx or UPS is cheaper for the larger orders and we use them from time to time. I have a different question, how do I contact you? Our best method is through email on our contact us page. We try and get back to you as soon as possible.